To locate sources of sewer odors, locate leaks, as well as entry points for rodents and insects in buildings and homes, sewer smoke testing is often completed. A video inspection often accompanies a plumber smoke test to provide a more thorough analysis of commercial greasy waste drainage, sanitary drainage, or storm drainage systems. 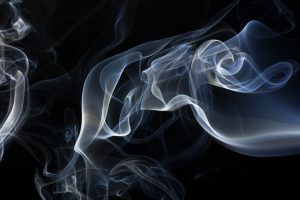 A non-toxic, environmentally safe vapor, or smoke, is blown into the grease, storm, or sewer system by way of an access point like a vent in the roof. Next, the smoke makes its way through the pipes, placing pressure on the drainage system, revealing itself at or close to the cause of the leak. Plumber smoke tests is a fast and uncomplicated way to avoid the costly opening of walls in pursuit of toxic odors/gases, water damage, rodents, or insects. Due to the visible element added to the source of the odor, guesswork is eliminated. A smoke test saves homeowners from potentially unnecessary repairs as a way to tackle the issues already stated. A major fault in your sewer line is not always indicative of sewer odors. The results from a smoke test may indicate a simple solution such as replacing a p-trap located under a sink or replacing a toilet wax ring. The cause of the sewer gas leak is easily and quickly located with a sewer smoke test. During this test, smoke may manifest itself from an unlikely location, which possibly means a simpler repair. Visible smoke is usually an indication of a leak located in an adjacent sewer pipe, such as an overhead pipe, kitchen stack, or bathroom stack. At the first sight of smoke, the plumbing professional who completes the test will likely have a thought as to where the cause of the leak is located. Further investigation may be done with a small camera inserted behind a wall by way of an outlet, light fixture, etc. If you suspect you have sewer gases in your home, contact a professional plumber who can further assist you.